United States Immigration and Customs Enforcement agents successfully entered the Elmwood Jail in Milpitas and the main jail twice in two days earlier this month, going against local sanctuary policy. Damian Trujillo reports. United States Immigration and Customs Enforcement agents successfully entered the Elmwood Jail in Milpitas and the main jail twice in two days earlier this month, going against local sanctuary policy. When administrators found out about the error in letting the agents in, Elmwood denied them access on three follow up trips, once on Mar. 14, and again this past Monday. On that day, agents were turned away at the main entrance so they proceeded to the back, where the woman's jail is located, only to be denied again. The Santa Clara Sheriff's office says they have been persistent but they claim they are not welcomed. "What we don't want to do is undermine the trust of the community," said Sargent Reggie Cooks. "The sheriff has been very adamant about where we stand on ICE." Immigration rights group SIREN says every hail guard should know the local and state sanctuary policies. "It's very surprising, especially since the county and community advocates have worked really hard to implement policies," Jeremy Barousse from SIREN said. However, not all are against ICE agents visiting jails. "They weren't just swept up because they were studying in a parking lot trying to get a job," said Bob Cooke, a retired special agent at the State Department of Justice. "They obviously committed some sort of crime, and to hold them in a position where they're not accessible to other law enforcement is just unimaginable." The former lawman says keeping ICE agents out of jails is wrong, "it disgusts me," he said. 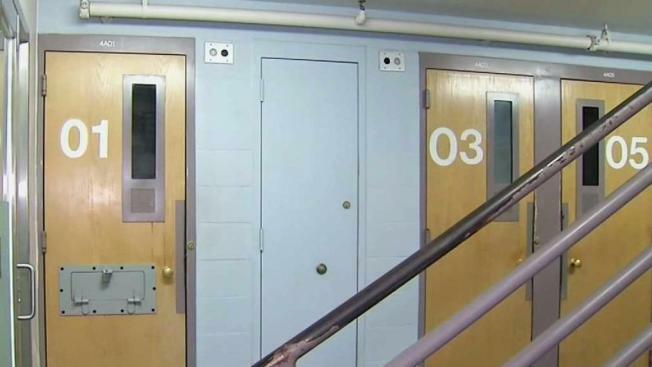 The sheriff says the jails have re-evaluated and strengthened the clearance procedures for any cop, including ICE, to enter their facilities. They believe there is no doubt that ICE agents will try to get in again.